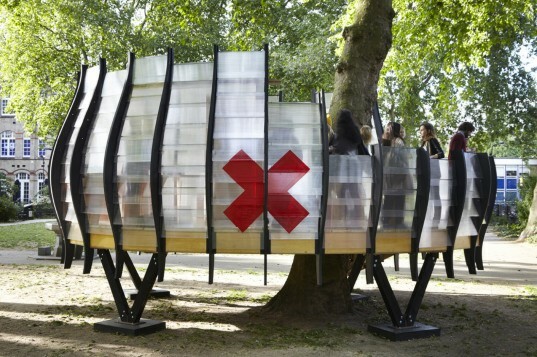 London-based Tate Harmer teamed up with Gensler and artists Natalie Jeremijenko and Shuster + Moseley to design and build a temporary pod-like office space to encourage people to visit the park near Hoxton Square in London. 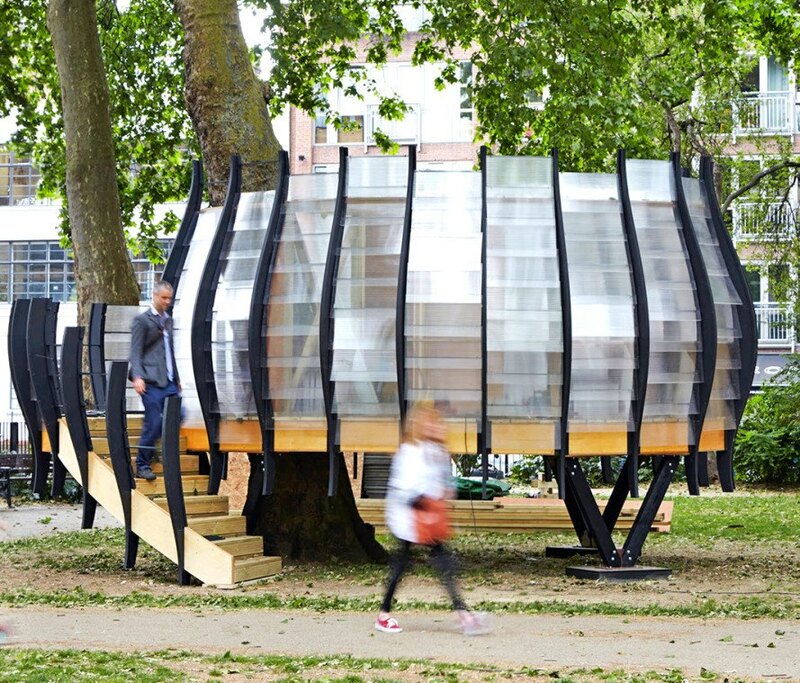 This small structure named TREExOFFICE was completed under the Park Hack initiative which is dedicated to enhancing public parks and spaces across the Borough of Hackney. The pod was made from compressed paper and timber enclosed in translucent plastic and polycarbonate slats. It encircles the trunk of one of 60,000 trees in the borough’s parklands and sits on stilts. The interior features wooden workbenches, electricity and Wi-Fi, and functions as a perfect outdoor office space. By creating this structure, the team drew attention to the importance of public parks and inspired people to use them in their daily life. The project was initiated by the Park Hack initiative, which was set up by local council in collaboration with arts and environmental charities Arts Admin and Groundwork. It was built as a prototype for a type of structure which could populate public parks to a greater extent and help “change the way we work in the city”. It encircles the trunk of one of 60,000 trees in the borough's parklands and sits on stilts. The interior features wooden workbenches, electricity and Wi-Fi, and functions as a perfect outdoor office space. The pod was made from compressed paper and timber enclosed in translucent plastic and polycarbonate slats. By creating this structure, the team drew attention to the importance of public parks and inspired people to use them in their daily life. The project was initiated by the Park Hack initiative, which was set up by local council in collaboration with arts and environmental charities Arts Admin and Groundwork. 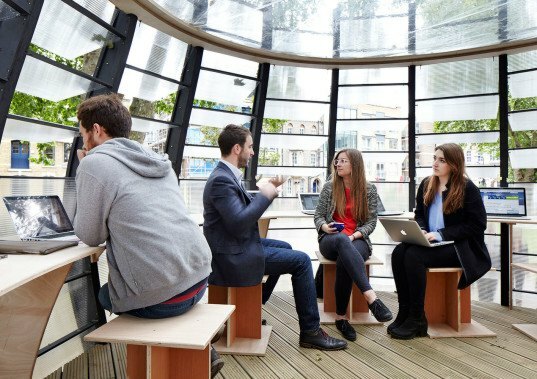 It was built as a prototype for a type of structure which could populate public parks to a greater extent and help "change the way we work in the city".